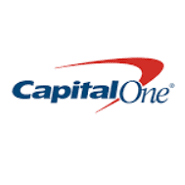 Capital One has sent out an e-mail to some cardholders offering them a bonus of $100 for referring friends to the Quicksilver card. You can receive $100 per friend that you refer that is approved, up to a maximum of $500. It’s not clear if this promotion is only going out on Quicksilver cards, or if it’s also available on other cards. This isn’t the first time Capital One has tested a targeted referral program like this, they also did something similar back in 2017. It’s not clear if Capital One will send out a 1099-misc form like Chase, American Express & Discover did for referrals earned in 2018. Please do not share your referral links in the comments below. As the offers aren’t very attractive for new cardholders I don’t think there will be any real demand for these links. So funny, C1 looking for more card apapplications, yet you would think it was Platinum card from 1999 as difficult as they make it to get approved if you have decent to great credit. Capital one wants you to carry a balance, which churners like ourselves don’t do. There are DPs showing success of people getting approved for a capital one card if your credit report shows you have a huge balance on one card and if you recon them you tell them “I occasionally carry a balance” or something like that. Do they still pull 3 credit reports? I had the quicksand card and they closed it with no warning. Were happy to get rid of me. did u hit them hard so they closed it or? i have this… problem is they wont approve anyone i know. they really need to loosen up their restrictions. I’ve shown my Venture card little or no love, what are the chances of being approved for their Savor. I got approved for their Savor. Have a quicksilver I show little love but I do have my spotify on their, so about $16 a month spending typically and a Cap1 360 checking account. Got the offers but only $100. They went to trash folder immediately. It’s $100 for the referrer, and $150 to the referred person, and only needs a $500 spend. If you have a player two, that’s a $250 reward. There are worse offers out there, but yeah, it’s not great either. I was targeted. I have had this card for a long time and sees very little use anymore, and have been doing the $1 small balance refund trick for about a year every month. Tried to get the Savor card recently, but I was denied.